Broccoli smoothies have become popular, especially among those who don’t typically eat broccoli, because the smoothies not only taste great but also offer the nutritional benefits of eating raw broccoli. 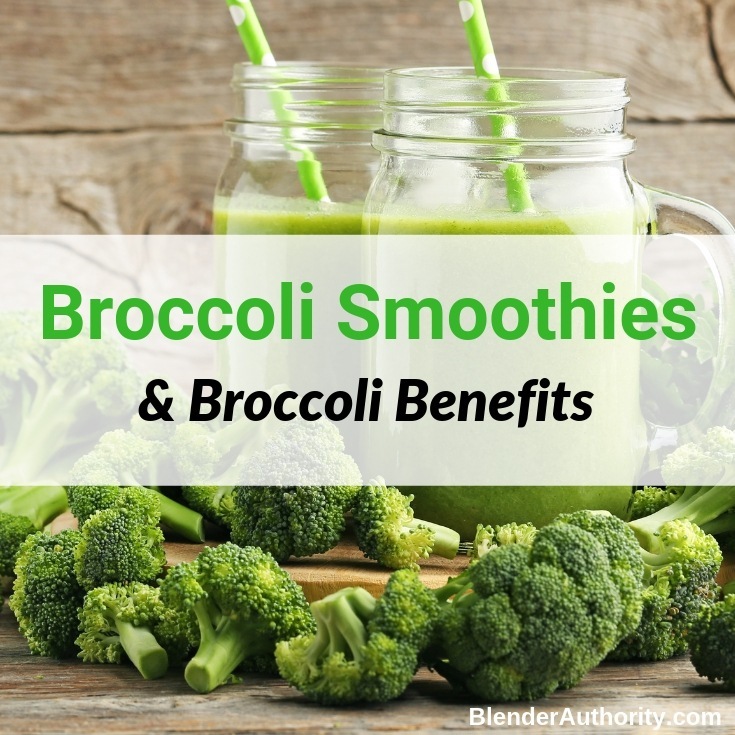 In this article we cover the health benefits of broccoli, how to properly add it to smoothies for the best nutrition, and some of our favorite broccoli smoothie recipes. Other than the fact that broccoli is delicious (yes I’m aware that this isn’t a popular opinion among everyone), it’s one of the few veggies that’s extremely high in water and completely low in calories. Also, it is an excellent source of fiber for healthy digestion. Yep, broccoli is very nutritious but more importantly lets get into what broccoli actually does for your health and what it helps protects us from. Researchers at the Linus Pauling Institute at Oregon State University found that cruciferous vegetables – especially broccoli- help reduce the risk of cancer and slow its progression. This is as a result of the high level of sulforaphane found in broccoli. Managing your intake of fiber-rich foods helps reduce and prevent heart disease. Broccoli, being full of antioxidants and fiber can help fight against the risk of heart attacks and cardiac arrest. Broccoli also helps with the risk of high cholesterol, which is a major cause of heart failure. With its high levels of soluble fiber, it’s very effective in helping to reduce the LDL cholesterol. Another benefit of broccoli is its ability to boost the immune system which is the most important system in defending the body against viruses, bacteria, and diseases. One cup of broccoli has 135% of the daily recommended value of vitamin C.
Broccoli is filled with Vitamin C, which is a crucial component in protecting our bodies against illness and disease. Instead of just grabbing orange juice to fight that cold, consider making a broccoli smoothie (recipes below). Broccoli is a great source of calcium and vitamin K (the necessary elements for strong bones and muscles). Every time you start heading for your milk carton, consider reaching for the blender and enjoy a broccoli shake instead. Broccoli has also been studied for fighting osteoarthritis. Broccoli has a bitter taste when you blend it so let’s get into how to use it in smoothies for optimal nutrition and taste. Which Blenders for Broccoli ? High speed blenders like Vitamix or Vitamix alternatives can puree broccoli making it easy to use with any smoothie. Cheaper, low powered blenders will struggle liquefying broccoli so start with just a couple florets to test it out. Powerful personal blenders can also puree broccoli in small amounts (typically under 1 cup). Studies have shown that cooking broccoli whether it be boiling, steaming or microwaving can reduce some of its health benefits especially sulforaphane versus just eating it raw. Broccoli Sprouts : Also popular are Broccoli Sprout smoothies where you can just substitute raw broccoli with broccoli sprouts. Broccoli sprouts are plants that are harvested when sprouts are about 1 week old. Spouts have a lot of the same benefits of mature broccoli yet add a more subtle taste. Keep in mind that sprouts can be expensive to buy and don’t offer as much fiber as grown broccoli. Fresh vs Frozen Broccoli ? There is some confusion about fresh vs frozen broccoli nutrition levels. Some researchers point out that frozen broccoli lacks the sulforaphane component because they are usually cooked before they are frozen but then studies like this one found no consistent nutritional differences between fresh and frozen broccoli. When it comes to smoothies, frozen broccoli can be easier to use and generally is less bitter than raw broccoli. We would just use whatever is convenient for you or just mix it up. 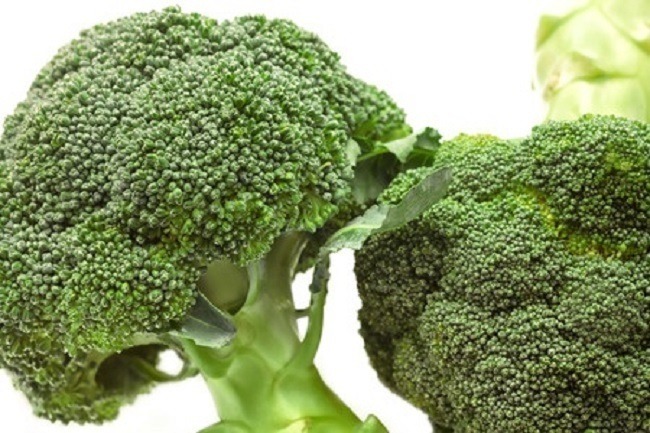 Recent studies have shown that chopping broccoli and allowing air to flow activates enzymes that promote sulforaphane. The healthiest option to follow when blending a broccoli smoothie is chopping the broccoli first, then let it sit for around 30 mins before adding the other ingredients to the blender. Read more about the study here. Bananas ! You will see banana listed in almost every broccoli smoothie recipe because bananas add a nice creaminess and work great at offsetting the bitter taste of broccoli. Sweeter fruits (peaches, strawberries, pineapple, mango) work well blended with broccoli to hide the strong broccoli flavor. Don’t use excessive sugar to offset the broccoli taste. The whole idea behind the broccoli smoothie is to help you detox and stay healthy, so if your choice of fruit and berries isn’t sweet enough you can add a little maple syrup or a sweeter fruit like banana. All of these recipes are portioned to work with single-serve blenders so just double the recipes for countertop blenders if you want a larger serving. Great kid friendly smoothie recipe packed with nutrition and flavor. This vegan health and beauty booster drink is easy with a refreshing taste. One cup of this breakfast broccoli smoothie is all you need to start the day and could work as a keto smoothie. Packed with vitamins this delicious smoothie is sure to please. Broccoli is a great way to switch up the greens you are using in your smoothies (most people get stuck just using spinach and kale). Whether you’re looking to detox, diet or are just looking for a way to get your kid eating more greens, broccoli has an amazing nutritional profile and smoothies offer an easy way to add it to your diet. Let me know what you think. Have you have tried broccoli in your smoothies ! Learn about the nutrition and health benefits of broccoli. 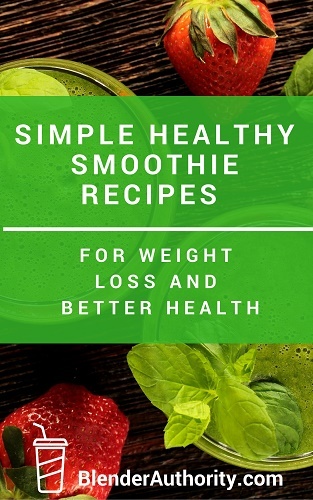 Tips on how to make make broccoli smoothies and simple recipes to get started with.